Above: My maternal grandparents and their family. 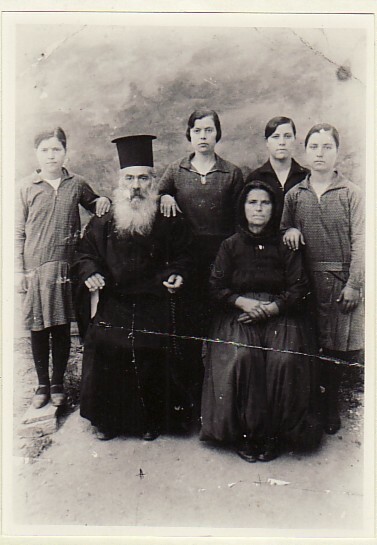 L-R: my aunt, Maria; grandfather, Georgios; my mother Irini; grandmother, Metaxia; and my aunts, Persephone and Mersina. 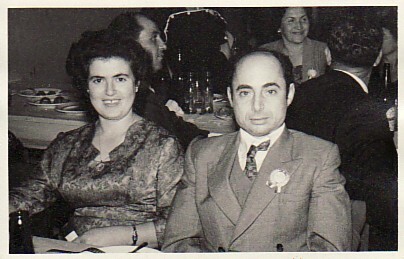 Above Right: My parents, Irini and Emmanouil. Above: Plomari, 1958. 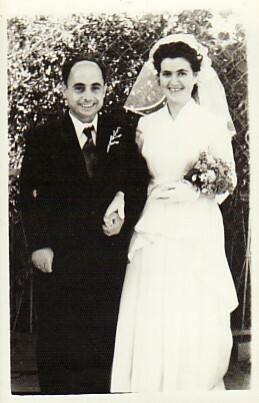 With my husband, Andonios, on our wedding day. Above Right: At a family party. 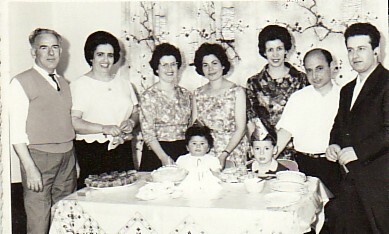 L-R: emmanouil and Mersina Pitsiladis, myself, Vasiliki Vetsika, Toula Tsiriani, my husband, Andonios, and Theofilos Vetsikas. 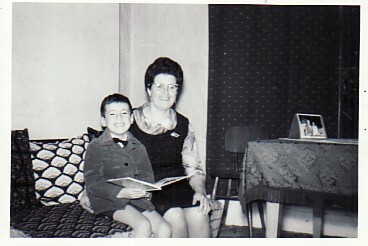 My son, Georgios, is the child on the right. 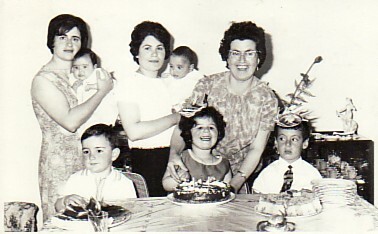 Above: With friends and their children. Standing are Paraskevi Matellis and Vasiliki Vetsika- each with their children- and myself. My son, Georgios, is on the right. The happy birthday girl is Marianthi. Above Right: With my husband, Andonios. Above: With my son, Georgios. 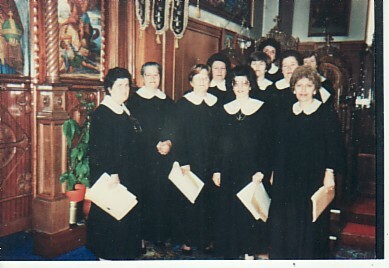 Above Right: With the choir at our local Orthodox Church in Wellington. In the front row from left, we are: myself, Irini Neonaki, Maria Breck, Ioanna Maheridou and Vasiliki Sgiogou.